Burke keeps Michigan's tournament hopes alive with a shot for the ages. Down, but not out. 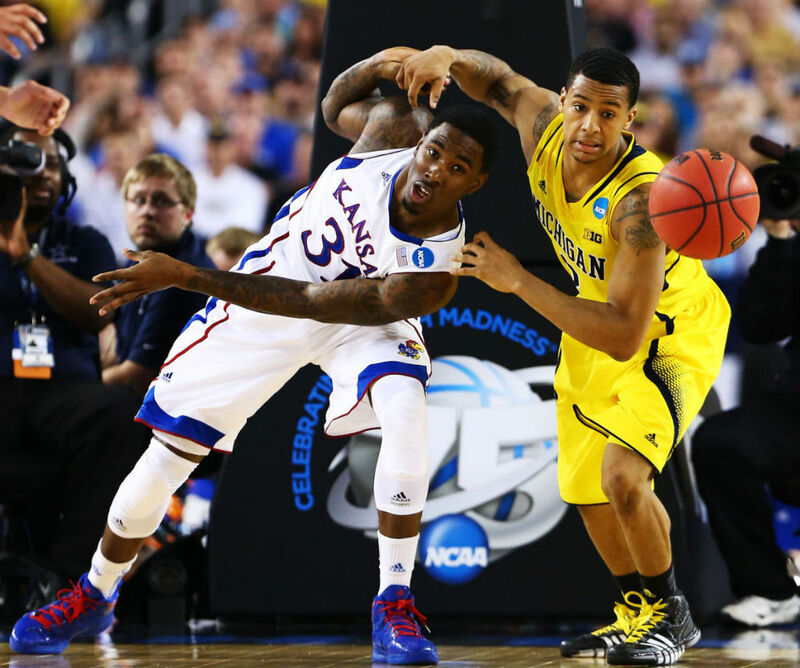 That was the mentality the Michigan Wolverines played with in their Sweet 16 matchup with the top-seeded Kansas Jayhawks Friday night. On the verge of being bounced out of the tournament, Michigan found themselves down 14 with 6:50 left to play in the second half. From that point on, they outscored Kansas 33-17, capping off one of the great comebacks in NCAA history. Led by sophomore standout Trey Burke and his 23 second half points, the Wolverines pulled out an 87-85 victory to advance to the Elite 8. The pivotal moment in the game came with less than 10 seconds left to play in regulation. Kansas' Elijah Johnson missed a free throw that would have made it a two possession game and Michigan's Tim Hardaway Jr. grabbed the rebound. After receiving a pass, Burke dribbled up the court, used a set of screens to find an open space and unloaded a three-pointer well beyond the arc. 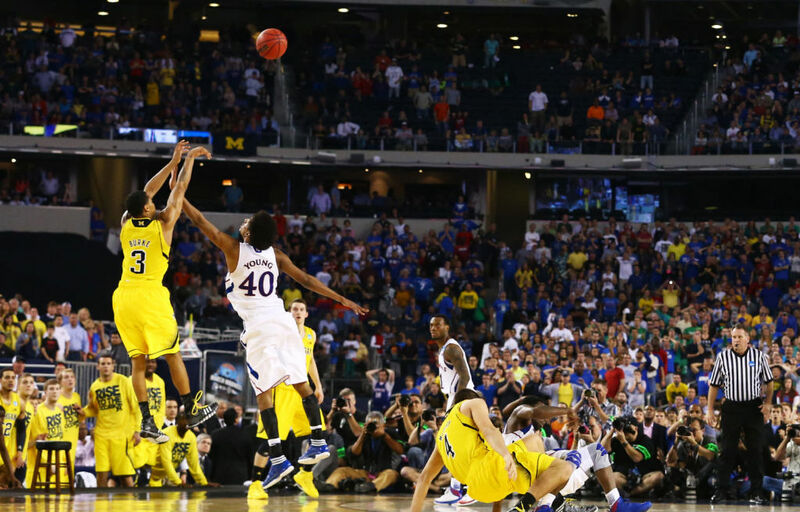 Of course, the shot fell and put Michigan in position to steal the tournament game in overtime. When we talk great tournament sneaker moments in the future, we'll remember Burke hitting his big shot in the yet-to-be-released adidas Crazyquick. The model is being worn by adidas-sponsored schools in the tournament and will officially launch in May. Have a look at Trey's game-tying shot above and a few shots from the game below.